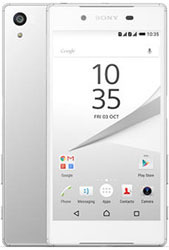 iMend Phones can diagnose your Sony Xperia Z5 Compact’s camera issues in a matter of minutes. Cracked or dirty lens, black spots or no image at all? Whatever the issue, it’s a simple repair for our qualified team. Take great photos again by calling us on 1300 046 363, filling out our online form, click the book online button or bringing your Sony Xperia Z5 Compact into our shop today @ 27 Cornmeal Pde, Maroochydore QLD 4558. Boasting HDR and panorama modes, the Sony Xperia Z5 Compact can take beautiful pictures to match every mood your latest Instagram story might require. But what if the story turns dark? And we’re talking about actual image quality, not trendy lipstick. Lighten up! iMend can fix your Sony Xperia Z5 Compact phone camera efficiently and cost-effectively. Even in a worst case situation, where we have to replace the lens, we’ll give you the peace of mind of our 12 month iMend guarantee so you can be certain that the fix is a permanent one.